Tinkles is about 6 years old. She was surrendered to CPL because her owners didn’t want to take her to their new home after her toileting inappropriately in their previous property. We are fairly sure this was due to her being bullied by her housemate as the behavior has not recurred either in foster care or at the cattery. 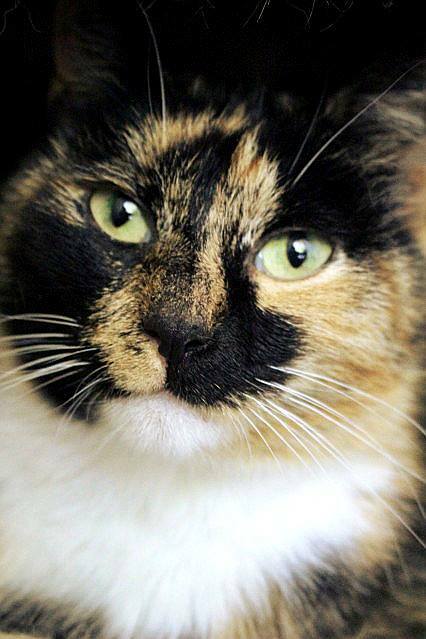 Tinkles is a sweet and affectionate cat but she is very shy and easily stressed. Here at the cattery she spends most of her time hiding in her box but if you put your hand in and scratch her ears she will headbutt your hand and purr. Tinkles will suit a quiet and calm home with no other pets and a patient, understanding new owner. She may take a while to settle and is on a special diet (Royal Canin Calm) to help with this.